For the past year or so I’ve been meaning to invest the time in a version 2 of the Jobs Common package, and I finally got around to releasing it last weekend. 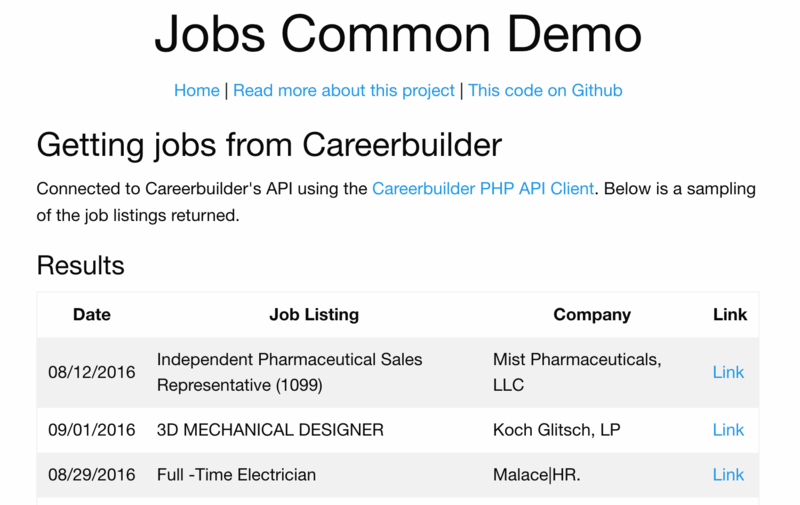 The goal of Jobs Common is to create a standardized interface for retrieving jobs from job board APIs. Basically, it allows you to get a known response no matter what job board you query. It’s an open source project that I’ve been working on for the past few years (on-and-off), and this iteration is the latest item in a series of improvements I’m making to the whole JobApis (formerly JobBrander) organization on Github. Read more on JobApis.com.